You know Dasher, of course. And Dancer, no need to refresh your memory there. Prancer, you go way back. Vixen is as familiar to you as Comet, not to mention dear old Cupid. Donner and Blitzen, why you had them over to your house for chili just the other night. But do you recall the most famous donkey of all? Neither do I. 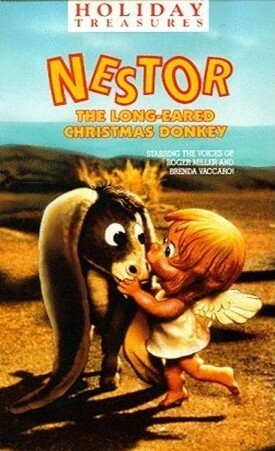 That's why Nestor the Long Eared Christmas Donkey performs such a great service. It offers THE authoritative biography of this under-appreciated representative of the species Equus asinus. And it makes a great RiffTrax! Note: Though this RiffTrax could probably technically pass with a "G" rating, it is not recommended for very young children. We suggest screening it first if you are unsure.